The Nixeus NX-VUE24B is $190 today at Newegg, featuring a TN panel with a 1ms response time, 144Hz refresh rate, and FreeSync. It’s gamer deal day here at PCWorld, and by that we mean we found a great bargain on a nice monitor—especially if you’re into 1080p gaming. 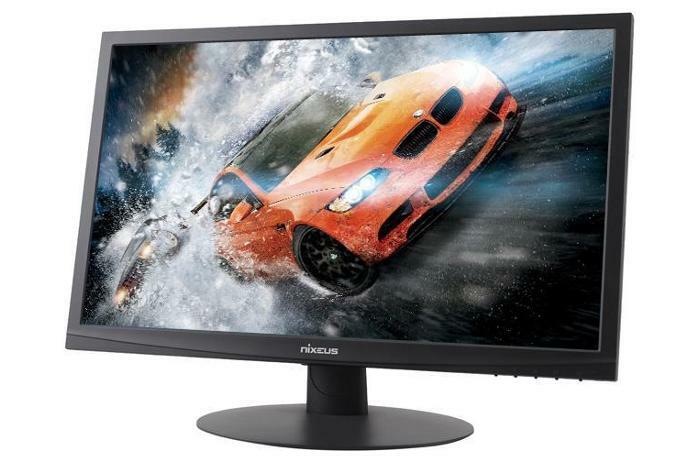 Newegg has a 24-inch Nixeus 144Hz 1080p FreeSync gaming monitor for $190. The deal ends on Saturday. This monitor features a 1 millisecond response time, which in combination with the 144Hz, should tip off longtime gamers that this is a TN panel. The great thing about TN panels is they deliver blisteringly fast response times, but they don’t always have the same vibrant colors and wide viewing angles as slower IPS displays. Nixeus says AMD’s FreeSync works from 30Hz all the way up to 144Hz, which means it will sync nicely with a compatible AMD Radeon graphics card. FreeSync is AMD’s variable refresh rate technology that syncs up refresh rates between the graphics card and monitor for smooth gaming by reducing screen tearing and stutter. This monitor comes with a base stand and allows for tilt, though it doesn’t specify how much. On the back it has DisplayPort, Dual Link-DVI, HDMI, and VGA ports. There are also built-in speakers for those who want to try using this monitor for console gaming.